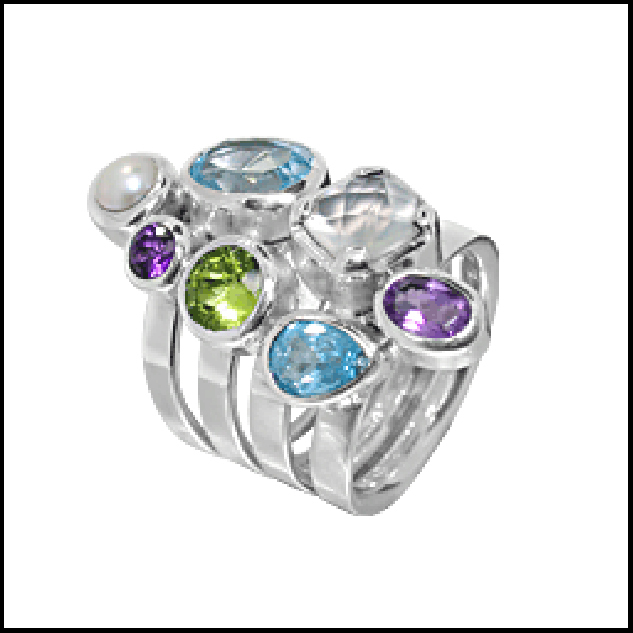 Throughout history the principal use of gemstones has been for healing and spiritual rituals. While gems were rare and beautiful, the reason they were so valued was due to the power they imparted to their wearers through contact with the body. Many people today still choose stones based in that ancient intuition. Our new collection, of Marija stackable rings of sterling silver and semiprecious stones, affords you the versatility to create the right combination for your particular daily intentions. To name a few, our selection includes: Citrine, to create optimism and increase self-confidence and the achievement of personal goals; Peridot, to heal hurt feelings and mend damaged relationships; Pearls, to promote sincerity, truth and loyalty and to help calm and focus attention. Affordable and versatile, stackable rings are a great jewelry essential, fitting together to create a variety of options. Mix and match stones of varied colors, textures and intensities to create the perfect combination for your mood and dress. 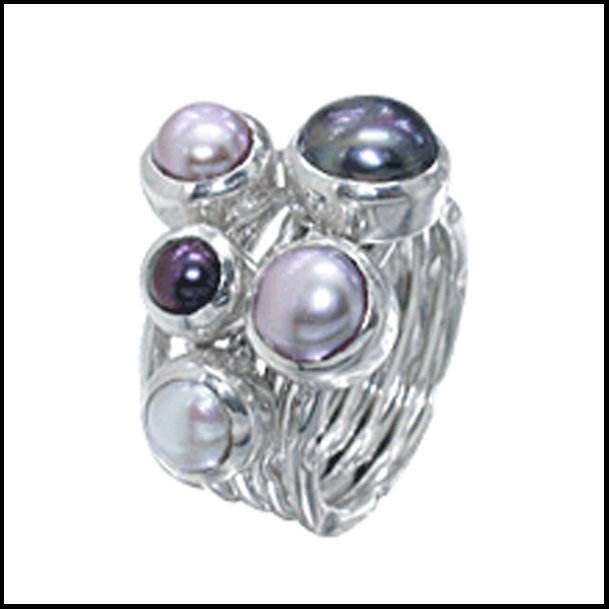 The stackable ring allows you to wear a simple wide band pearl one day, turn up the energy another day by adding a gemstone or two, or simply combine them on a beautiful, long chain to wear as a necklace. Perhaps you would like to unite a medley of your children’s birthstones, or create the perfect anniversary ring duet of his and her birthstones. And with June just around the corner, you might want to consider the stackable ring as a timeless alternative to the more typical class ring. Gift your graduating daughter a combination of her birthstone and your own, as a way to symbolize your loving presence in her life as she sets off on her journey. Our line of Marija stackable rings will last generation after generation so that she may one day pass on this meaningful symbol of the lasting love of family, to her own children. 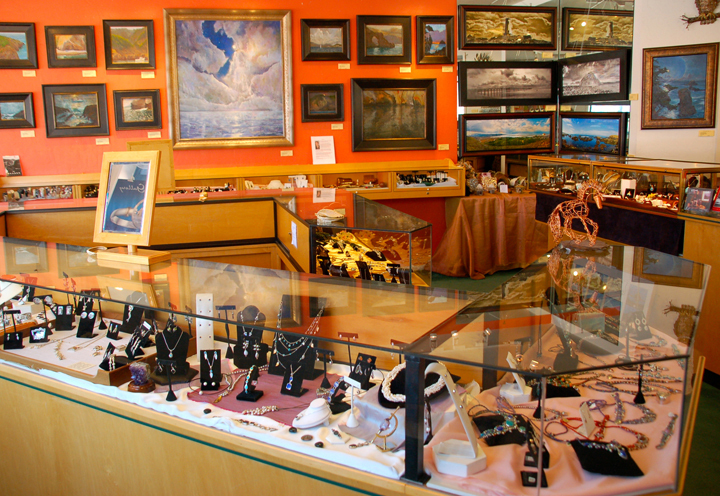 Visit us, or give us a call, at (805)772-9955 or come into our store at Seven Sisters Gallery, 601 Embarcadero # 8, Morro Bay, CA so that we can help you choose the perfect start of this wonderfully collectable accessory. This entry was posted in Hints and Tips, Uncategorized and tagged gifts, jewelry, precious stones, rings, semiprecious stones, silver, symbolism on March 7, 2013 by SevenSistersGalleryCa.